There is always more to learn! Join me for these opportunities to expand your Reiki practice this summer! Summer Reiki Shares will meet Monday June 23, July 7, 21 and August 4, and 18th from 7-9pm after dinner. This is a great way to set your energy for the week! I send reminders out within 24 hours of the share – let me know if you’d like to be on that reminder list. If there are no affirmative RSVPs by 5pm, the share is cancelled. Reiki Volunteers needed to give chair Reiki on June 30th, July 28th & Aug 25th from 3-7pm at the Beverly Farmer’s Market. I am looking for a few student Reiki volunteers to practice giving chair Reiki to the public at the Beverly Farmer’s Market on June 30th. (Also, July 28th and August 25th, too.) We need students from 3-7pm, and you can come for as short or long as you are available. There will be no compensation to students, but there is no fee to participate. In fact, we will be asking the public to make a donation for these chair Reiki sessions to go towards the Beverly Bootstraps Food Pantry. My goal is to raise$500 in donations at the Farmer’s Market this summer. If you are interested and available to give chair Reiki, contact me atinfo@joannascaparotti.com or 978-338-4326 to sign up. Summer Reiki Refreshers will meet Saturday mornings in July and August from 9:30-11:30am unless otherwise noted. It’s $25 for each workshop or sign up for four for $80. Registration is available with Paypal on my website here – mark your calendar now to save the dates for the ones you’d like to attend! July 12th – Manifest your Summer Desires at this fun workshop. We will be using the 3rd Reiki symbol along with creating affirmations and vision boards to help you manifest your summer goals. Is it a new job? Weight loss? New relationship? Whatever it is – we will set the balls in motion to manifest the changes you desire to make. July 19th – Review the Basics at this Reiki Refresher for anyone who has lost his or her self-Reiki practice or has not been to a Reiki share in a long time. We will review grounding and protection, as well as scanning and hand positions for giving Reiki to others. Don’t be shy – this is your chance to ask all your questions and practice with guidance. July 26th – Discover your Reiki Calling Reiki is calling us to expand our understanding of how it is manifesting in the world. Reiki is not just for self-care or for those who wish to practice on others for healthcare. Reiki is a way of being that can inspire and create new opportunities in every life and vocation. Join me in sacred space to start exploring your own Reiki calling deeply and discovering how your unique manifestation of Reiki in the world is a part of the Reiki for a Better World movement. 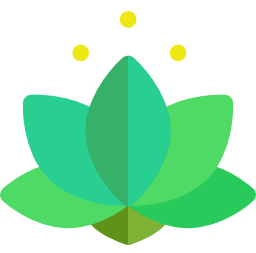 August 2nd – Deepen your Reiki Intuition Come try out various techniques for developing your intuition about what’s happening while you’re giving Reiki. You’ll discover what’s natural for you and learn techniques you can practice at home to strengthen your intuition. Everyone of us is different, but we all have intuition that we can learn to trust. Start here! Other Topics: There are 3 additional Saturday mornings in August on the 9th, 16th, and 23rd available for Reiki Refreshers. Send me your request if there is a topic you’d like to cover, or if you have suggestions for a guest teacher to come in and teach! The Student Reiki Clinic has really taken off. We have some regulars who attend and enjoy receiving Reiki from the students, and students have given great feedback about their experience practicing on people they don’t know. There will be two more clinics over the summer: July 15, and August 19th, and the time commitment is 6:30-8:30pm. (Arrival 6:30pm, set up, student preparation, first clients arrive for 30 min sessions at 7pm, 15 min break then second set of clients arrive for 30 min sessions at 7:45pm. 8:15pm clean up.) I can take up to 3 beginner students and 1 experienced Reiki Master student who would like practice supervising. Student volunteers are not compensated, but there is also not charge to participate. Please email me soon at info@joannascaparotti.com if you would like to participate in one or more of these clinics over the summer, as the spots will fill up fast.